In Gabriel v. Alaska Electrical Pension Fund, — F.3d —, 2014 WL 2535469 (9th Cir. 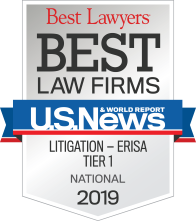 June 6, 2014), the Ninth Circuit provided its most comprehensive discussion to date of the scope of remedies available to plaintiffs seeking “appropriate equitable relief” pursuant to ERISA § 502(a)(3) (29 U.S.C. § 1132(a)(3)) following the Supreme Court’s decision in CIGNA Corp. v. Amara, 563 U.S. —, 131 S.Ct. 1866 (2011). In Amara, the Supreme Court held that “appropriate equitable relief” under ERISA § 502(a)(3) includes those categories of relief that were typically available in equity, such as equitable estoppel, reformation, and surcharge. In Gabriel, the Ninth Circuit clarified the factual circumstances that could give rise to these remedies, making plain that they are not as readily available as plaintiffs would like. In Gabriel, Plaintiff Gregory Gabriel participated in the Alaska Electrical Pension Plan (the “Plan”) from 1968 through 1975. Under the terms of the Plan, a participant who completed ten or more years of service became vested under the Plan and eligible to apply for pension benefits. In 1975, after completing 8 years as a participant in the Plan, Gabriel became the sole proprietor of Twin Cities Electric (“Twin Cities”). From 1975 through 1978, Twin Cities made contributions on behalf of Gabriel and Twin Cities’ employees to the Plan. Based on these contributions, the Alaska Electrical Pension Fund (the “Fund”) initially credited Gabriel with eleven years of service, enough to qualify him as a vested participant under the Plan. In 1979, Fund determined that Gabriel was an owner of Twin Cities, rather than an employee, and therefore ineligible to participate in the Plan. The Fund sent Gabriel a letter informing him of this determination, further explaining that because he had reported fewer than 500 service hours to the Fund for the past two years, Gabriel was terminated from the Plan as of January 1, 1978. After two months of negotiations, the Fund agreed to refund Gabriel the improper contributions paid by Twin Cities to the Plan. In order to receive the refund, Gabriel signed a release agreement acknowledging that he was receiving a refund arising from “the improper employer contributions paid from the year 1975 through 1978” to the Plan on his behalf. Gabriel did not meet any of the requirements for reinstatement and so never vested in the Plan. Nevertheless, in late 1996, Gabriel asked the Fund for a pension benefit calculation if he retired. A Fund representative mistakenly informed Gabriel in early 1997 that based on his years of service from 1968 to 1978, if he retired, Gabriel would receive a monthly pension benefit of $1,236. Gabriel subsequently retired and applied for benefits, which he began receiving in March 1997. In May 2000, Gabriel began working part-time for Udelhoven Oilfield Services to supplement his retirement income. In November 2001, the Fund suspended Gabriel’s pension benefits on the basis that his employment for Udelhoven constituted prohibited post-retirement employment in the industry. Gabriel challenged that determination and, when evaluating his claim, the Fund rediscovered its earlier determination that Gabriel was ineligible to participate in the Plan from 1975 through 1978 and therefore never met the Plan’s vesting requirements. Because Gabriel was never eligible for retirement benefits, the Fund terminated his benefit payments and threatened to seek reimbursement for the $81,033 in benefits Gabriel had erroneously received. In response, Gabriel brought an ERISA action against the Fund and other defendants, asserting claims for recovery of benefits, clarification of rights to future benefits under ERISA § 502(a)(1)(B), and for “appropriate equitable relief” under ERISA § 502(a)(3) (29 U.S.C. § 1132(a)(3)) to remedy breaches of fiduciary duty. In a series of orders, the district court resolved all of Gabriel’s claims in the Fund’s favor. Gabriel appealed the district court’s summary judgment rulings to the Ninth Circuit. On appeal, Gabriel asserted that his pension benefits should be reinstated because (1) the Fund’s fiduciaries breached their fiduciary duties by misrepresenting Gabriel’s eligibility for pension benefits, and (2) Gabriel relied on that misrepresentation to his detriment by taking early retirement. Gabriel argued that he was entitled to “appropriate equitable relief” in the form of equitable estoppel, reformation, or surcharge under ERISA § 502(a)(3) to remedy defendants’ breach of fiduciary duty. The Ninth Circuit rejected Gabriel’s entitlement to any of these equitable remedies. the representations made about the plan were an interpretation of the plan, not an amendment or modification of the plan. Finally, the Ninth Circuit turned to Gabriel’s argument that the equitable remedy of surcharge entitled him to an amount equal to the benefits he would have received if he had been a participant with the hours erroneously reflected in the Fund’s records when he applied for benefits. Citing to its decision in Skinner v. Northrop Grumman Ret. Plan B, 673 F.3d 1162, 1166 (9th Cir. 2012), the court noted that, under the traditional equitable principles specified in Amara, a surcharge remedy is available only when a breach of trust committed by a fiduciary (1) resulted in a loss to the trust estate; or (2) allowed the fiduciary to profit at the expense of the trust. Quite simply, a trustee could not be subject to surcharge for a breach of trust that results in no loss to the estate or profit to the trustee. Gabriel could not establish either of these circumstances. First, “Gabriel [did] not argue that any of the defendants here were unjustly enriched by their alleged breaches of fiduciary duty. Nor could he, because the defendants merely prevented Gabriel from receiving benefits that he was not entitled to receive under the Plan, and such actions appropriately discharged the fiduciaries’ duty to act ‘solely in the interest of the participants and beneficiaries,’ the individuals eligible to receive such benefits from the Fund.” Furthermore, Gabriel was not requesting compensation to recoup the Plan for losses occurring from a fiduciary breach. “Because the surcharge remedy Gabriel seeks would not restore the trust estate, but rather would wrongfully deplete it by paying him benefits he is not eligible to receive under the Plan,” Gabriel was not entitled to a surcharge remedy for the Fund’s alleged breach of fiduciary duty, and the Ninth Circuit affirmed the district court’s dismissal of Gabriel’s claims. The Supreme Court’s decision in Amara created significant uncertainty regarding the scope of “appropriate equitable relief” available to plaintiffs under a cause of action pursuant to ERISA § 502(a)(3). For courts within the Ninth Circuit, the decision in Gabriel clarified some of that uncertainty. Gabriel stressed that the remedies of equitable estoppel, reformation, and surcharge under ERISA § 502(a)(3) are limited to specific factual circumstances, and a plaintiff cannot utilize these remedies to recoup benefits beyond those provided by unambiguous plan language, including when a plan makes a simple benefit entitlement mistake. 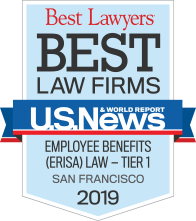 The Gabriel decision forecloses the hope for some that Amara significantly expanded the scope of remedies available to plaintiffs in the Ninth Circuit under ERISA § 502(a)(3).